Please note: Throughout this article, when I reference commodities, I am strictly referring to paper shares, NOT the physical form itself. For instance, physical precious metals (gold and silver) are a form of money and provide insurance in a portfolio (fear trade). Mining shares, on the other hand, are far more volatile and risky, but provide greater leverage (greed trade). It is important to segregate out the differences between paper shares and the physical commodity itself because they are NOT the same asset/investment! As readers are well aware, lately, I’ve been heavily focused on buying up commodity stocks. In particular, I’m a big fan of gold and silver mining stocks right now. When demand is high, mining companies try and bring out every last resource available out of the woodwork to appease Wall Street. They can do this because in a roaring bull market environment, what previously looked uneconomical now looks pretty darn attractive! And just like with real estate, banks are most willing to lend when asset prices are high (does that make sense to you?)! So, the miners can easily obtain the financing they need to ramp up projects in an upmarket. 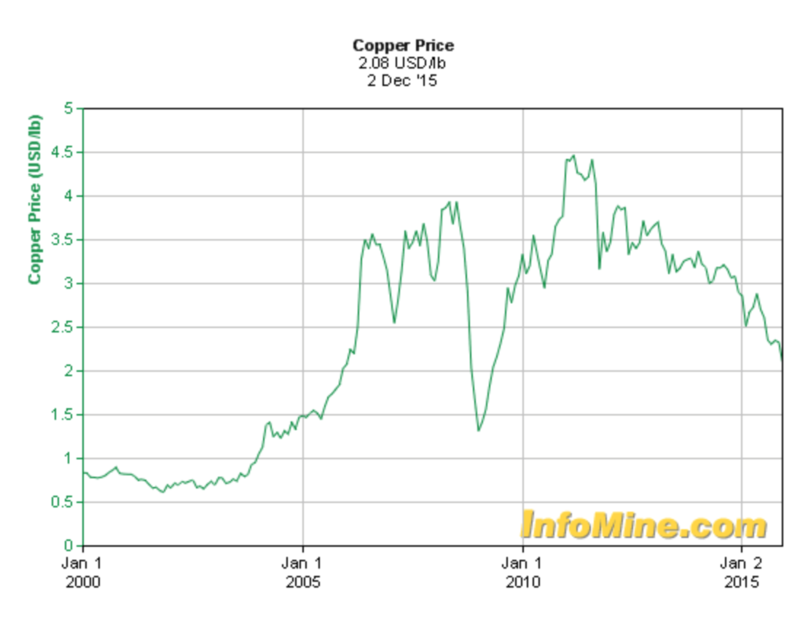 Copper, for example, rose from under $1.00/lb in 2000 to over $4.00/lb in 2011… And now we are barely over $2.00/lb! Going from $4.00/lb to $2.00/lb has enormous consequence to a company’s bottom line and a mine’s profitability. And the reality of the mining world is simply this — You cannot increase supply or remove it from the markets at the flick of a light switch… Most investors and institutions probably don’t realize that it can take upwards of 5 to 10+ years to: explore, develop, permit, and construct a new mine before you can start operating it! But once a mine is up and running, you can’t always shutdown production either. There are employees and salaries to pay! 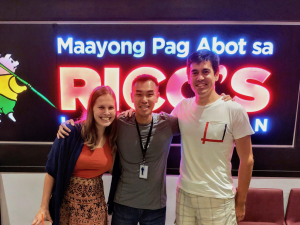 Many companies have streaming and royalty agreements in place that they can’t just walk away from… Ditto for the debt service. And for some companies, the new mine is the only revenue generator they have! It’s really just one big headache after another that many miners suffer through during brutal bear markets, like the one we are presently in right now. And with each passing day, all that we hear from the media is how China’s growth is slowing down… which doesn’t help matters any. So, you’ve got a glut of excess supply, but again, you can’t always just remove it instantaneously… which only causes the price of the commodity to continue to weaken, perpetuating the problem. 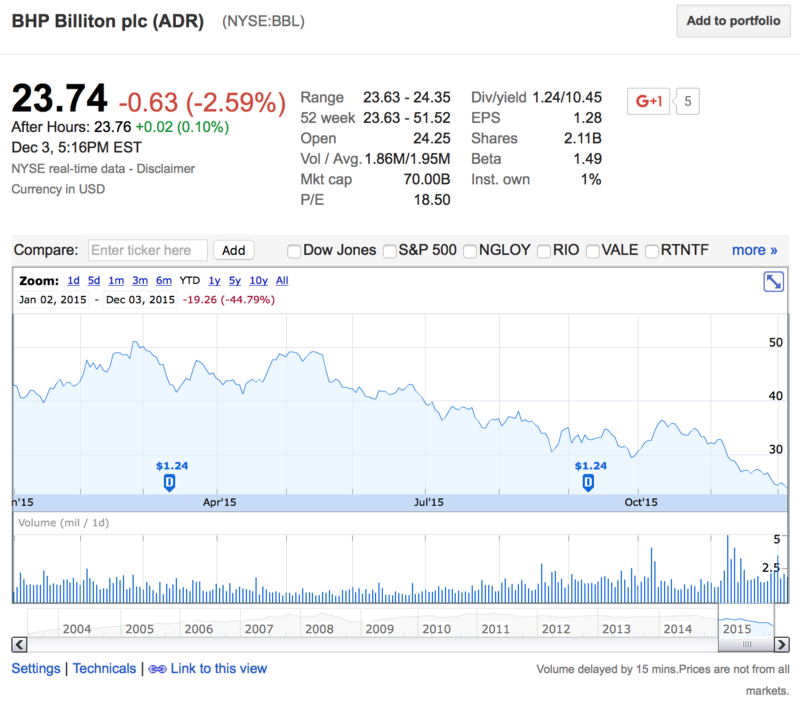 The smart money obviously also knows this fact, so they of course bail… which only further smashes the share prices of the miners. In turn, companies are forced into drastic actions to tighten their belts (reduce/eliminate exploration, terminate employees, sell off assets, etc.) in order to survive the harsh winter. I don’t know if there is an exact rule of thumb, but my guess is that it typically takes a few years for the excess supply to be drained from the markets. On the bright side, though, the overshoot and price exaggeration on the rebound is also just as potent… Once the market finally consumes enough of the previously excess supply, or the market simply changes sentiment (for whatever the reason), eventually, demand will outstrip supply again. As an investor/speculator, that’s when you start to get excited! Because what is to follow will indeed be spectacular! Again, when times get rough, companies react and aggressively cut costs — This absolutely decimates exploration, which is the lifeblood of mining (a perpetually depleting business). What this means is that when a severe shortage develops in the future, there won’t be enough new mines readily available to put into immediate production to meet this newfound demand. As much as I find the entire world of mining ever so fascinating, point blank, I am a speculator who is in the interest of making a lot of money. My allegiance is to financial freedom. Commodities are wonderful, don’t get me wrong, but it is important never to lose sight of what the endgame is for any type of speculation. And when it comes to commodities, knowing that they typically only boom and bust over and over again, I can find no reason to hold shares of mining companies for an indefinite period of time. Rather, I simply want to exploit the insane volatility that this particular asset class just so happens to possess. What that means is ONLY buying at or close to a market bottom, and selling out COMPLETELY once the next bull market takes full flight. Mining stocks (as a whole) have NEVER been and should NEVER be considered as a suitable Buy and Hold Forever investment. They are far too volatile… and unreliable. If you can accept that upfront, you will probably make a lot more money in this sector then someone with an opposing viewpoint. But what about commodity companies that pay a dividend? Frankly, I don’t see any difference… These stocks can be just as volatile, so I am not going to go out of my way to make an exception for them. In this article, we are primarily focused on discussing about mining stocks, but the same general analysis can likely be applied to the oil sector as well. Please note: I don’t mean to pick on any companies, I am just using BBL and KMI as examples. But for the longest time, income investors defended BBL and KMI as being exceptions to the rule (BBL was an industry giant and KMI was a “toll booth” that was immune to oil price fluctuations). As such, these companies were somehow believed to be superior and able to withstand the typical volatility that you’ll find in other commodity stocks. Well, if we look at the year to date (YTD) charts, BBL is currently down 45% and KMI is off 54%. For income investors, most definitely, these stocks represent a MUCH BETTER buy at these lower prices and higher yields (granted the dividends aren’t cut… which is now what everyone is speculating, as is the nature of brutal bear markets). 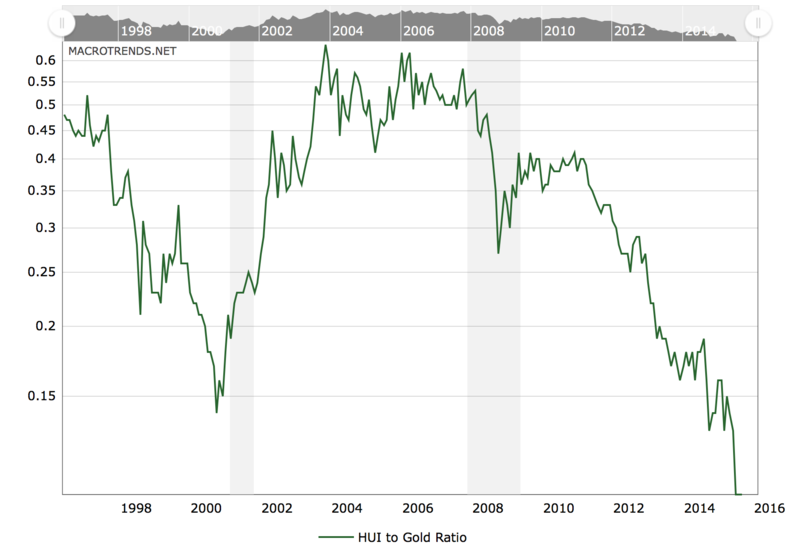 Personally, when I am researching commodity stocks, I couldn’t care less about any dividends… As I have alluded to before in previous posts, I am drawn to mining stocks because the sector has been absolutely decimated…. So, I wouldn’t expect (or really even want) a company that I am investing my hard earned dollars into to have to struggle through the hoops of paying a periodic dividend… Rather, I would prefer a company shore up its balance sheet, fund exploration work (internal or prospect generators) for the inevitable upcycle rebound, or go out and aggressively look for acquisition targets. In a down market, to me, that is a much more prudent use of capital. This most recent downturn should be an affirmation that no commodity stock is ever safe in a bear market (dividends or no dividends)! A lesson that I have learned myself is this — I will NEVER again purchase a commodity stock when shares are trading at historic norms, or at record highs… In fact, commodities as a whole will ONLY interest me when their respective shares are trading down 80%+ from their most recent highs (like right now). With that said, if this ends up being the only commodities cycle I ever partake in, I’m perfectly OK with that! This sector is ABSOLUTELY RUTHLESS… You must have an iron stomach if you insist on playing! When it comes down to it, I am a chicken, and I would much prefer buying your conventional Buy and Hold Forever investments! Do these type of returns sound far-fetched to you? McEwen Mining (MUX) is an example of a junior mining stock that peaked around $9.58/share back in 2011 when gold was very fashionable. Today, the stock is trading at $0.92/share. When a stock is down 90%, you need it to rise back up 10x, or 900% just to get back to break even! I have so much conviction that gold and silver (to a lesser degree copper and uranium) stocks are ridiculously undervalued, that outside of the USD, I have no other investment ideas at this time! Please note: As ALWAYS, I am NOT offering any investment advice or recommendations! I am only sharing with you what I am doing with my own capital. 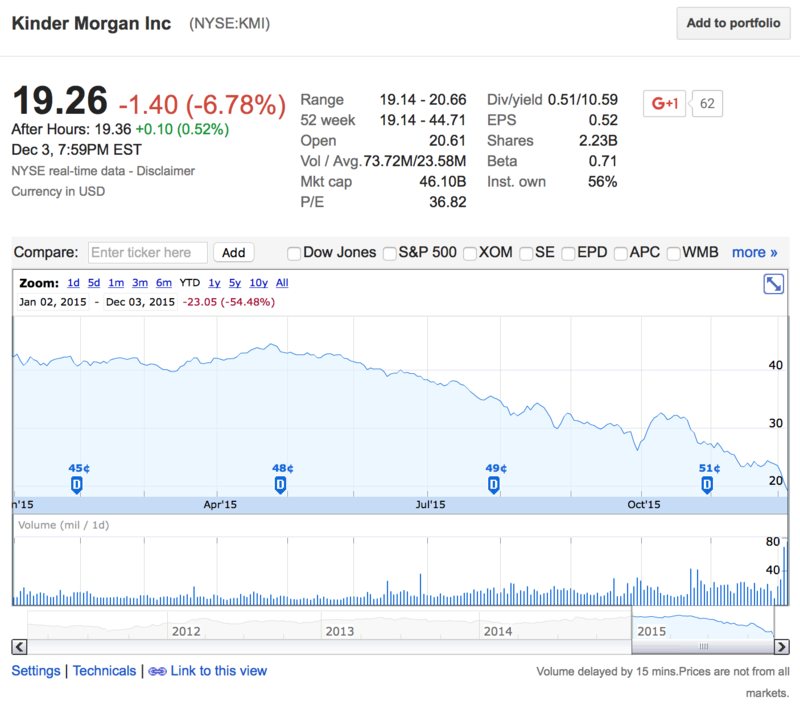 Please do your own due diligence and research before making ANY investment decisions. 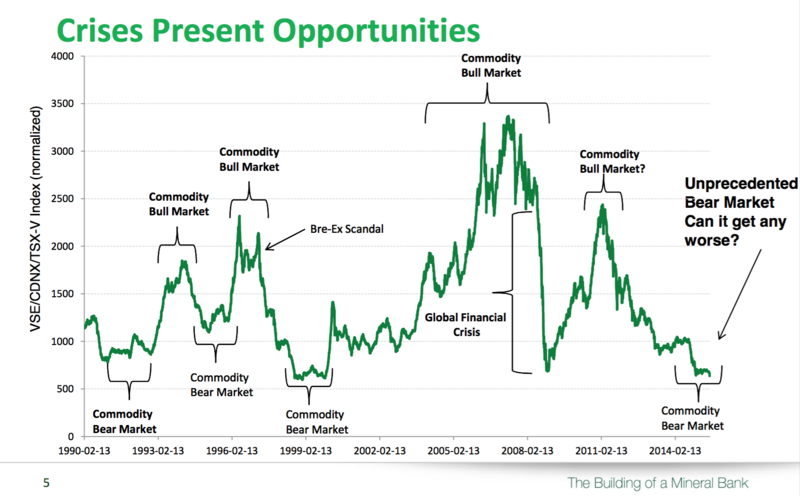 Really very good summary and explanations about the market cycles, especially with the focus on the commodity sector. What concerns me is that that sector is so much hated that we might not have seen the real bottom yet. Actually, as Rick Rule said – we might be far from it as we haven’t seen any real capitulation and mines being shut down yet. 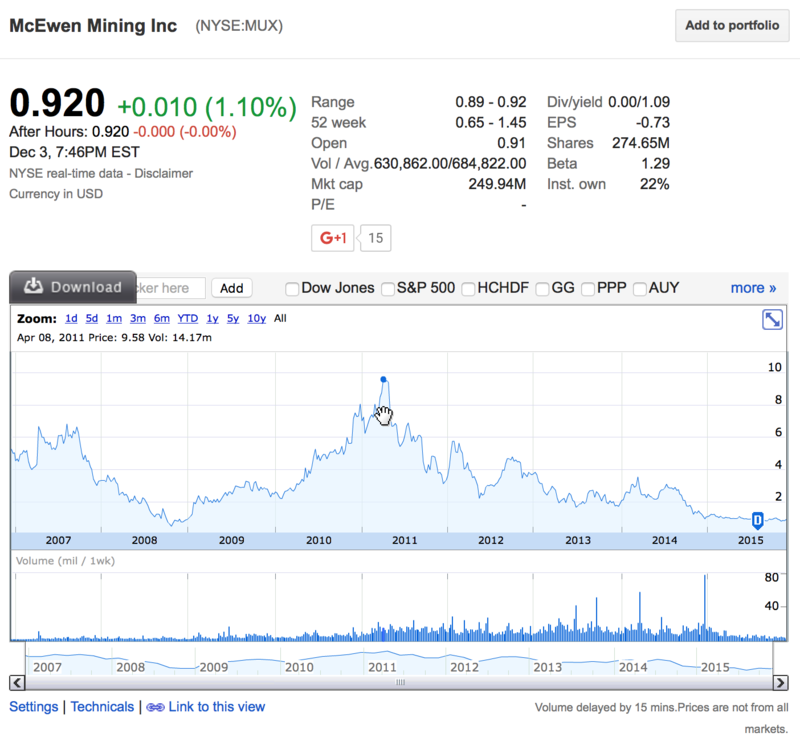 For example, McEwen is 95 cents right now that that is 90% down from 2011 peak. But I think we might have the share down to 65 cents as Mrs. Yellen is set to raise interest rates by ridiculous 25 basis points later this month. That increase might be calculated in the current prices but might not be. I don’t know. If the price go down to 65 cents that will be only 93% below the peak but it will be 30% paper loss for an investor that bought at current prices. So, my attitude is that at least some portion of money should be hold in cash and wait if the market offer to average down the price. And if there is any deviation, lets say she postpones the hike like the fed always has done for the past 10 years. Or lets say she doesn’t raise it a quarter and only a tenth. Then you missed your boat Hristo. You are not a hedge fund manager, your not a savant. The best you can do is what Fifighter is doing and making an educated guess based on the macro enviornment. He knows fundamentally there is a price mismatch and he is preparing himself for price to readjust. Its very possible and realistic that he could be 1-5 years off and if thats the case he is sitting on dead money. In 5 years the hope is that his money will have made more money than had be stayed in stocks over those 5 years. Time will tell. The one constant throughout history? Gold. It always has been and probably always will be money. Unlike all fiat currencies, it’s the only asset with intrinsic value that cannot be debased. Those are some of the reasons why I have no fear with this trade. I’m betting on money, not a tech start-up that may or may not gain mass adoption. Gold will NOT become the next Blackberry! Yes, the sector could definitely head lower but it’s really anyone’s guess… Where we are now, irrespective of where prices will go, I think you’ll find a pretty clear cut consensus from ANYONE who knows the sector that these stocks are severely beaten up and undervalued right now. For myself, I don’t mind lower prices and I have learned to embrace them. I have no problem averaging down on 20%+ declines on each position I own as long as the fundamental story for the company hasn’t changed. Love the in-depth analysis here FI Fighter. While you might not want to buy and hold these sort of stocks forever, I think a company like BHP, with high quality, low cost assets, is about as close as you can get, and I can definitely see it being worth far more in 5, 10 or 20 years from now, regardless of what booms or busts happen in between.